Let me be the first to tell you that the reason most businesses fail to construct a proper digital marketing plan is the same reason most of us skip the instructions when assembling anything from IKEA. Do you know why most businesses struggle with their marketing? From our perspective, it’s incredibly clear, but if you’re anything like the countless other businesses implementing tactic after tactic but not quite seeing the results you expected, read on. The reason that most businesses fail to achieve outstanding results from their digital marketing is because they lack a clear digital marketing strategy (also known as a digital marketing plan). Now, let me be the first to tell you that the reason most businesses fail to construct a proper digital marketing plan is the same reason most of us skip the instructions when assembling anything from IKEA. We want the results, now! How to bring it all together into one super-effective, actionable plan! Seriously, it’s all here. Keep reading and you’ll discover the keys to creating a successful digital marketing strategy that makes the most of your existing assets and drives you toward accomplishing relevant goals. A vital component of your strategy document as they will influence all marketing activities. Organizational goals: short term, long term, big picture, and specific. Your current marketing assets: created, earned, paid. Make note of the gaps in your marketing mix plus how and when they will be filled. Your competitors’ marketing assets, keywords to rank for, etc. The production process, publishing schedule, topic ideas, downloadable resources, and all formatted around the buyer’s journey. On-going Updates, improvements, conversion points, workflows, testing, optimization. Automate email, social media, and various website actions. Include these and any other relevant information in your strategy document. Remember to be thorough enough to form a well-rounded strategy, while not including so much to detract from the clear, concise, and actionable nature of your document. Another topic that I feel is important to include is defining the difference between a digital marketing strategy and a digital marketing plan. Often the words “plan” and “strategy” are used interchangeably, as they seem to be in this guide. Though the meanings of the words are similar—a method for achieving an end—a strategy is open for adaptation and change, whereas a plan is deliberate and would typically not be adjusted when risks or obstacles to the plan come up. Your digital marketing strategy will always be evolving, whereas your digital marketing plan will be the outline you use to execute each step in your digital marketing process. Now, let’s get to creating your strategy document. We’ll start this in-depth tutorial with what may be the most important information you’ll learn all day. Your digital marketing strategy will be built around your customers, so it’s vital that you understand just who you’re selling to. You see, your marketing will all be focused on reaching a very specific segment of the population, known as creating buyer personas. What questions do they have and how are they searching for the answers? How do you go about targeting this group of people? A buyer persona is a semi-fictitious representation of your ideal customer. The best digital marketing strategies are built on the foundation of clear buyer personas, so it’s important that you take the time to create them properly. Research, interview, and survey members of your target audience in order to learn as much as possible about their wants, needs, pain points, habits, etc. Age may or may not represent an important variable in your marketing, but it’s an important variable to gather in order to know where you stand. For instance, if the vast majority of your customers are millennial moms, you’ll want to target your marketing message to reach them most effectively. Income information is typically gathered through interviews, as it’s not something most people will share via online forms. Once again, you’ll use the information gathered to understand the financial position of your ideal buyers. This is especially important if you’re in the B2B sector. Understanding the positions occupied by the people who buy from you will help you target your marketing at sites like LinkedIn and Facebook. You’ll also want to better understand where your traffic (leads and customers) is coming from, geographically speaking. Identifying trends in your ideal buyers will allow you to develop a more effective marketing message that reaches them on a more personal level. If your software development firm was able to gather the insight that your customers were interested in gaming, you’d be able to develop a deeper/more trusted connection with your audience from the initial touchpoint. One of the most important goals of your marketing will be to help your customers overcome the challenges they are facing. The first step to doing so is to identify what challenges they encounter most and the frustrations/pain points they experience as a result. Understanding what’s important to your target audience is one of the keys to delivering an optimized marketing message. If you can identify that your customer values ease of use or customer service, wouldn’t that help you to market your product or service most effectively? Speaking to a representation of your ideal buyer will allow you to test your assumptions of what they hope to accomplish with the product or service you offer. Once you’ve gathered all of the information, it’s time to create your buyer personas. Create at least one (preferably two) persona(s) that represents the different characteristics of your ideal buyer. Create a full story based on the information gathered and how it relates to your business. For more on how to create your buyer personas most effectively, take a look at this step-by-step guide. Let’s use this example: Your mission is to establish your brand as the go-to app development company for startup ventures. How will your digital marketing strategy help you accomplish your mission? For instance, you want to dominate the online content of the app development space related to startups. Additionally, you’ll need to develop a paid ad content promotion and retargeting strategy to make the most of the content you create and fill your funnel. Now it’s time to bring it all home. If you want to dominate the content in your niche, what does that look like? Your goal could be to generate 100% more website traffic in the next 12 months. Do you want to create a powerful content promotion strategy? Get specific. For example, your goal is to generate 50% more leads and 30% more conversions over the coming 6 months. Finally, you’ll need to define the KPIs you’ll use to track the performance of your content and paid advertising strategies. Digital marketing KPIs are what you’ll use to measure the efficacy of every tactic you deploy and optimize them to improve your results/returns. For example, you would use your costs-per-click to understand the efficacy of your paid ads, your cost-per-lead to understand whether or not you’re targeting the appropriate people, and your cost-per-conversion to understand the efficacy of your conversion funnel. Check out this extensive list of important KPIs to help you define those that will help you track the performance of your digital marketing strategy. Now that you have your goals outlined and know how you’ll measure their success, it’s time to get clear on where your existing marketing assets stand and how you can make the most of them. Your goal is to get your current assets working together in order to boost their efficacy across the board. For instance, you want your paid media to be promoting valuable blog posts, content offers, videos, and images, all the while building trust and brand recognition. Those assets will also be shared across your social media profiles, with everything working together to drive traffic to a website that is built to nurture visitors through various stages of the buyer’s journey and toward a conversion. You probably have assets that can be used NOW to make moves in the right direction. The important thing to consider is how each of those assets can be best used to create a multifaceted digital marketing machine that drives traffic, generates leads, and converts. The reason it’s vital to put the time and energy into your digital marketing strategy is that it allows you to see how everything works together, rather than how each component affects the bottom line individually. Say you have an outstanding blog post that is just what your ideal buyer is looking for. You use Facebook ads to promote that post to a highly targeted audience. Those people sign up for your offer, giving you an email address. You use that email address to build a relationship with them, providing more valuable content that nurtures them through each stage of the buyer’s journey, and eventually brings them back to your website. Your website, the conversion machine that it’s built to be, does its job and you make the sale. Each piece of your digital marketing machine works together to take people through the buyer’s journey and convert them. No one piece is fully responsible, but together the process flows smoothly. Now that you’ve reached this point in your digital marketing strategy, you may have realized that you’re missing some of the components you feel are necessary to build a well-rounded and effective marketing machine. Make note of what components should be integrated and how they will support your ongoing marketing activities. Build them into your future plans and determine when to begin to test deployment of individual tactics. The intricacies of developing effective content marketing strategies are slightly outside the scope of this article, but I’ll cover the key points of what makes content marketing highly effective. For a detailed article on how to develop a killer blog strategy, check out this recent post. As you probably already know, content marketing has exploded over the past few years. Every business with a website seems to have a blog and many are taking creativity to a whole new level. They’re producing downloadable PDF guides, infographics, and even videos in an effort to drive traffic to their websites. The problem is that the vast majority are doing it WRONG. And that’s what we want to get clear on in this guide. In this day and age, you simply can’t produce content aimlessly in the hopes that people will stumble across it and decide they need to buy what you sell. For this reason, I’m going to give you the 3 most important things to remember when creating content. Sound familiar? Any good digital marketing tactic begins with a solid digital marketing strategy behind it. That means, once again, identifying who you’re selling to (buyer personas), what their pain points are, what questions they’re asking, and what problems you can help them solve. Then, and only then, can you begin to create truly valuable content. Remember, you’re creating content that is valuable because it helps your ideal buyer, not creating content that you and your team consider valuable. Different strokes for different folks and all that, right? Google is only going to rank your content if it deems it valuable. This means your article, blog post, etc., needs to be OUT-FREAKING-STANDING. How do you create outstanding content? A. Create a comprehensive resource that answers every part of the question/solves every part of the problem you’re aiming to answer/solve. B. Make it 10 times as good as the competition. Yes, that means you may be writing several thousand words to cover a topic. That’s a GOOD thing. Obviously, it’s not quite that simple, but for more on how to create valuable content that Google deems important and relevant to search queries, read this. Remember, providing outstanding value should be one of the core concepts that runs throughout your digital marketing strategy. Even if you create valuable content, are you going to be able to outrank the competition? Is there any search traffic for your target keyword(s)? In fact, let me back up a moment. Do you even have (a) target keyword(s)? Too many blogs aren’t aiming the shots they’re taking with each piece of content they create. Everything you create needs to be formed around providing value about a specific search query. A. Subscribe to a research tool like the ones from Ahrefs, Semrush, or Moz. These tools will give you a major leg up on the competition, as they allow you to determine which topics/keywords are worth pursuing, as well as what it would take to outrank the competition. B. Identify your competitors and determine what keywords they rank for. Make a list of your competition (industry leaders) and the keywords they rank in order to get ideas for keywords you should be pursuing, as well as those you may be able to rank for by creating a better resource. C. Seek out higher volume/less competitive keywords. Pursue long-tail keywords (multi-word queries) that maintain a search volume that is worthwhile for your business. For example, a brand that stands to make a large amount by signing a single client might allocate more resources to lower volume/higher competition keywords. A retailer that focuses on volume would, in turn, need to pursue higher volume/lower competition keywords. Both companies would need to create content for topics/keyword groups. D. Write for topical keyword groups. Create content around a target keyword, but don’t stop there. For instance, if you run the marketing department of a boutique fashion ecommerce store, you may do very well to create content around the focus keyword “fall outfits,” while including keywords like “cute fall outfits,” “fall styles,” “fall looks,” and “how to dress this fall.” Aim to include 5-10 additional keywords throughout your content. The buyer’s journey is a vital component of any digital marketing strategy. If your digital marketing strategy doesn’t already target people in its various stages, listen up. There are 3 main stages of the buyer’s journey for which you should be creating content. I’ll use the example of a local travel bureau for Big Sur, California to provide samples of the types of content to be created for each stage. In this stage, the buyer is just becoming aware of their problem/need. Travelers are just beginning to look for destinations. After determining that they want to target couples, the travel bureau might create a blog post about the Top 10 West Coast Destinations for Couples to offer their destination amongst other top western locales. In the interest stage, the buyer is aware of their problem/need and just beginning to look for solutions, in this case, destinations. They could create a powerful resource called “50 Most Romantic Activities in California,” highlighting the offerings of Big Sur and the surrounding areas, but providing alternatives throughout California. At this stage, buyers have decided what it is they want but have yet to decide how to go about getting it. In this example, a couple has nearly decided that they want to visit the area of Big Sur, but don’t have the information they need to make that final decision. The Travel Bureau could create an ebook called “7 Steps to Planning the Perfect Weekend Getaway in Big Sur,” which outlines the best choices for a couple’s retreat to this beautiful destination. It would be full of information on where to stay, what to pack, where to eat, how to get there, and what to do in Big Sur. This is a brief overview of how to create specific content for the various stages of the buyer’s journey. Check out our recent resource on how to make the most of The Buyer’s Journey. #5 – Promote Your Content!!! One of the most popular assumptions about content marketing is that once you click the publish button, you’re finished with that piece of content. Not even close. With the dramatic impact, content marketing can have on your digital marketing strategy, it’s important that you get it right. A. The creation—all of your hard work building a beautiful piece of content—is its time in the womb. B. Clicking publish is the birth. Welcome to the world little blog post! C. The promotion is everything being done to grow that content and show it off to the world. I know, it’s a strange analogy, but it works for me. What I’m trying to say is this: content needs to be shown off to the big beautiful world around it in order for it to gain any traction and grow. Sure, Google is going to do some of that for you, but you can help it on its way. Sharing it on your social networks. Emailing it to your list. Using paid ads on Facebook (especially if it’s really good). Reaching out to Industry Experts to share on their blogs. The list goes on, but the important thing to remember is that content is only going to benefit you if people see it. Social shares, time spent on page, and especially links from other sites will all help Google understand that people find your content valuable and relevant, helping it rank higher, faster. The vast majority of companies won’t see any traffic driven by their blogs. The resources they allocate to content creation is more or less wasted. That said, even brands who perform keyword research can be wasting time and resources. Too many brands are going after keywords that they’ll never rank for. We hate to be the bearer of bad news, but unless you’re ready to follow the steps above and put in some real effort, content marketing won’t work for you. Your digital marketing strategy depends on a clear and consistent content strategy, which requires a significant amount of input and optimization to remain effective. Put in the work, however, and you’ll reap the benefits of your efforts and realize your traffic goals before long. Your digital marketing strategy wouldn’t be complete without a comprehensive paid ad strategy. There are several channels you can turn to, but with the results achievable from highly optimized Facebook advertising campaigns, it makes sense to focus there. Successful paid advertising shares one major component with content marketing, in that they both rely on the clear and thorough understanding of the people being targeted. You could create the best ads on the platform, with the best offer, for the best product. It wouldn’t matter if those ads were being seen by the wrong people. Invest the time into understanding who you’re marketing to, the language they speak, their likes and dislikes, and you’ll be able to continually optimize your advertising. Continual optimization means one thing: increased ROI. That’s something that makes any marketer happy. For more on Facebook targeting, check out this killer post on Facebook ad targeting strategies. For more on online shopping behavior, don’t miss this one. While we’re on the subject of targeting, we have to talk about retargeting. If you’re not already actively retargeting, you should be. Retargeting is simply marketing to those who have already been to your website and therefore have a relationship with your brand (however fleeting it may be). Retargeting campaigns are likely the most effective paid advertising campaigns around, so your strategy should include ways to drive visitors to your site so that you can retarget them. Since we’ve been on a content marketing kick, let’s stick with it for a moment. Facebook ads are a great way to boost the reach of your best content, generate more leads, and nurture potential buyers through the funnel. This is the ultra-simplified version, of course, but it’s something you may want to try with your best pieces of content. You’ll need to experiment with the types of content you promote, the offers you retarget with, and so on, but it can be a highly effective strategy if implemented and optimized correctly. 4 – How Do I Get More People to See My Facebook Posts? 5 – What Is a Good CTR on Facebook Ads? Your website plays a key role in how people interact with your brand online. As such, your site needs to move each visitor toward a conversion. In the content strategy section above, I outlined how you should be creating content for the various stages of the buyer’s journey. Your website needs to cater to visitors in a similar way. The majority of people who end up on your site will not be ready to convert. As such, you need to provide a valuable experience to visitors from every stage. 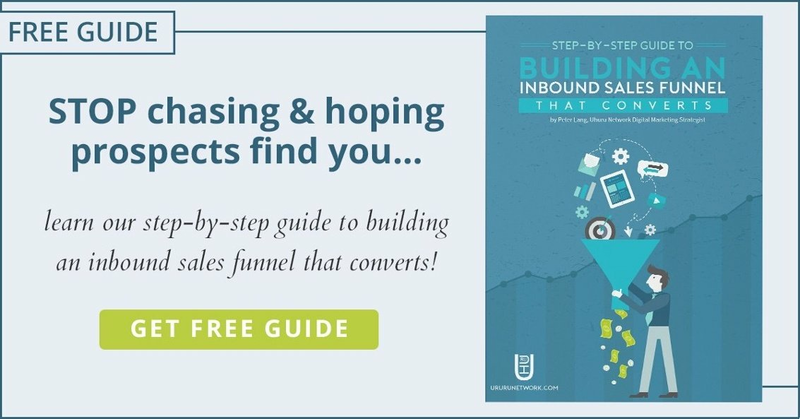 The topic of creating a conversion-driven website is a big one, so I highly recommend you read this super helpful article, The Complete List of How to Generate Leads from Your Website. Another vital component to an efficient digital marketing strategy is marketing automation. The beauty of digital marketing is that so much of it can be automated. In fact, we’ve written an entire article dedicated to the process of marketing automation. It’s called, Do You Need Marketing Automation?, and—spoiler alert—you do. Now that I’ve loaded you up with a ton of information, I’ll wrap it up with a few important digital marketing tips to keep in mind when building out your digital marketing strategy. I hope I’ve demonstrated the importance of thinking about your assets as parts of a digital marketing machine. The problem most companies face when creating a digital marketing strategy is that they view content as a unique asset, paid ads as another, and so on. The next big mistake we see the majority of marketers make is that they create a digital marketing strategy and ride it out even if it’s not performing. Always be testing your digital marketing strategy and optimizing it along the way. Another problem is that, where the digital environment changes by the day, many brands are implementing a strategy that is a year or two old (or older). Remember to use the most current information when constructing yours. Focus only on what’s relevant today! Every single marketing activity that you participate in should reflect your digital marketing strategy, and your strategy should ultimately reflect your buyer personas. Don’t make the mistake of letting your marketing message shift and lose the specificity that it needs to truly reach the people you’re targeting. Remember that your buyer personas may evolve with your business, societal trends, or any number of factors. Always be fine tuning your message to reach your ideal buyer most effectively. Time to bring it all together into one super-effective, actionable plan! Are you ready to build your own digital marketing strategy? You have your assets, the knowledge, and the structure outlined. Now it’s time to plug in your pieces and construct your own digital marketing plan. I’ll be the first to tell you that the first draft of your strategy document will look much different than your final copy, however, the key is to get started. Identify your strengths and weaknesses and fill in the gaps in order to create an effective digital marketing machine. It’s time for an overhaul!